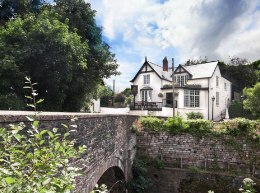 Enjoy warm Welsh hospitality, good food, fine wines and real ales, great views, stunning countryside and in winter, snuggle up to a crackling log fire in a traditional country house hotel! Enjoy a truly memorable weekend break away at a Welsh Country Inn. Follow the Country Inns family on Twitter to receive the best offers and deals. We tweet regulary, and our offers cover not just Wales but the whole of the UK! We've teamed up with Cottages In to offer a wide selection of self catering holiday homes in Wales. From fisherman's cottages to spacious detached farmhouses, check out their comprehensive listings.